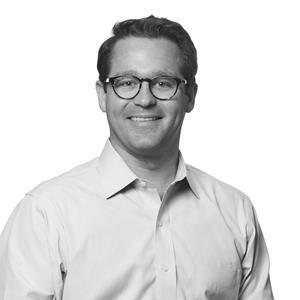 BEVERLY HILLS, Calif., Jan. 17, 2019 (GLOBE NEWSWIRE) -- Continuing to expand its management team to support global growth, Genius Brands International (“Genius Brands”) (NASDAQ: GNUS) has appointed tech media visionary Jon Ollwerther to the post of Vice President, Business Development. The appointment was announced today by Chairman and CEO Andy Heyward, to whom he will report. Genius Brands International (“Genius Brands”) (NASDAQ: GNUS) continues to expand its management team to support global growth with the appointment of tech media visionary Jon Ollwerther to the post of Vice President, Business Development. Ollwerther has been given a broad mandate to drive value across all areas of Genius Brands. As VP of Business Development Ollwerther has been given a broad mandate to drive value across all areas of Genius Brands, complementing and augmenting the efforts of the company’s senior management team comprised of General Counsel & SVP of Business Affairs Michael Jaffa; CFO Robert Denton; Head of Global Distribution Natalie Setton; VP of Domestic Content Distribution & President of Kid Genius Cartoon Channel Deb Pierson; and SVP of Global Consumer Products Lloyd Mintz. Ollwerther joins Genius Brands from Measure, the nation's leading Drone as a Service® company. As Vice President of Media, Ollwerther grew the Arts & Entertainment division from its inception and worked with leading media companies and advertisers like ABC, CBS, ESPN, Red Bull Media House, Coach, Prada, Maker's Mark, and Nissan. As a trailblazer in an emerging industry, Ollwerther focused on leveraging drones as a tool for artistic expression and informational use, including major franchise films to live concerts and events. Among other accomplishments, he pioneered live broadcasting via drone for news and sports and spearheaded the first live drone network broadcasts in America, and helped bring drone light shows to life. Working with clients across the country and around the world, Ollwerther has an extensive credit list of collaborations with brands and advertising agencies to create unforgettable experiences. Prior to joining Measure, Ollwerther was the COO of a national drone service company based in NYC.